We’re proud to have been featured in Timber Homes Illustrated. Check out these articles below! 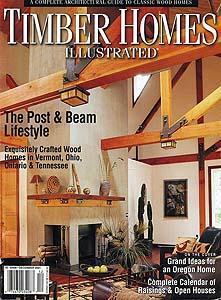 View the Timber Homes Illustrated - Feb 2002 article (PDF). This beautiful custom timber frame home was built in Ohio by Matt Benes. 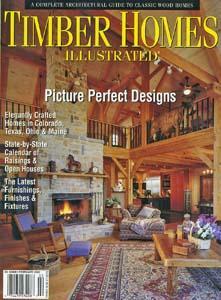 This timber frame home was featured in the February 2002 issue of Timber Homes Illustrated. You can read a scanned copy of the full article by downloading the pdf. The home featured was architect designed with lots of custom details. The great room has vaulted ceilings with timber frame trusses. View the Timber Homes Illustrated - Dec 2011 article (PDF). Custom home built by Matt Benes featured in the December 2001 issue of Timber Homes Illustrated You can read a scanned copy of the full article by downloading the pdf. The home featured has a lot of charm and desirable traits, including a gourmet kitchen, open concept floor plan and gorgeous cathedral ceilings.